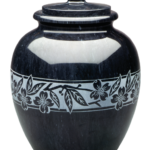 The practice of using memorial and funeral urns for ashes has been in place for many centuries. 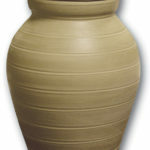 Urns hold the last physical earthly elements of the loved ones, and for many they are sacred vessels. 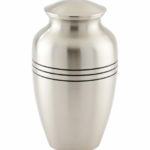 At DeBord Snyder Funeral Home & Crematory our goal is to provide families with the quality and elegance of urns that complement the uniqueness of each person and fit different budgets and personal tastes. 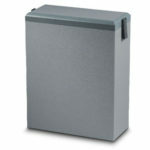 Memorial urns for ashes make a meaningful addition to a home and provide special means of remembering a loved one. 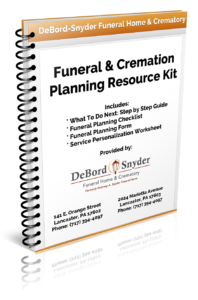 At DeBord Snyder Funeral Home & Crematory we offer a wide array of funeral products and merchandise, ranging in material, protective and aesthetic value, design, cost, and personalization options. Each of our convenient locations contains a full selection room designed to meet the needs of every family. In these selection rooms families are able to view a variety of caskets, vaults, memorial urns for ashes and other cremation products, memorial jewelry and more. 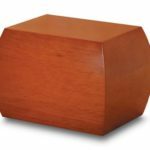 We offer memorial urns for ashes ranging from traditional to more contemporary styles and made of a variety of materials. Your dedicated funeral director will work with you to explain all of your options so that you may choose the most suitable funeral urn one in the appropriate volume, size, and style.